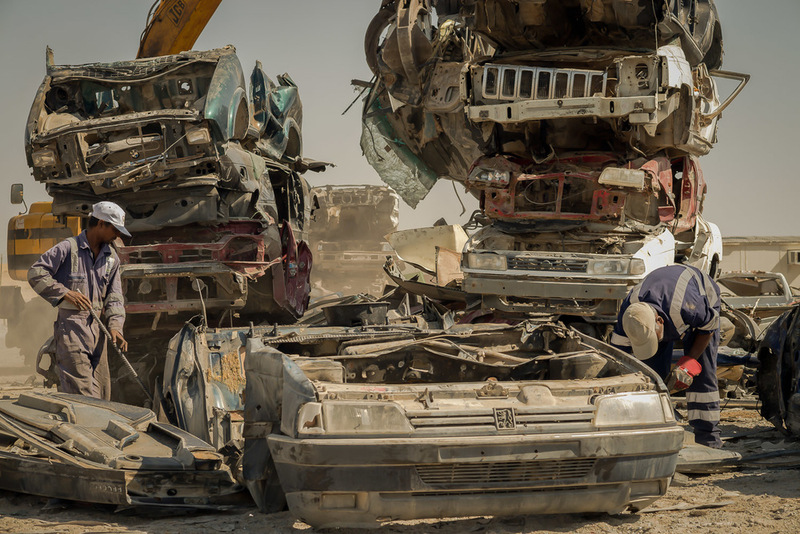 Every year in the UAE, thousands of cars are abandoned and left to rust, while some are shipped abroad to be melted down. 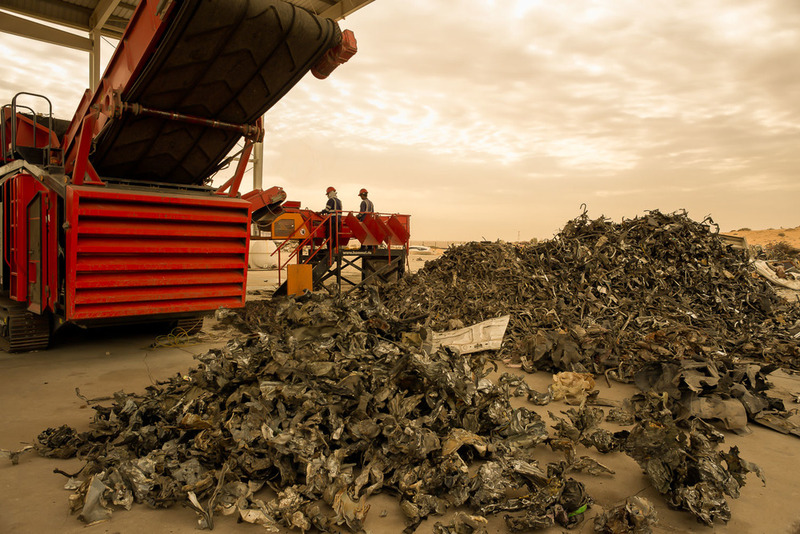 Now, the emirate of Sharjah has found a way to recycle these discarded motors, turning them into scrap metal in the process. 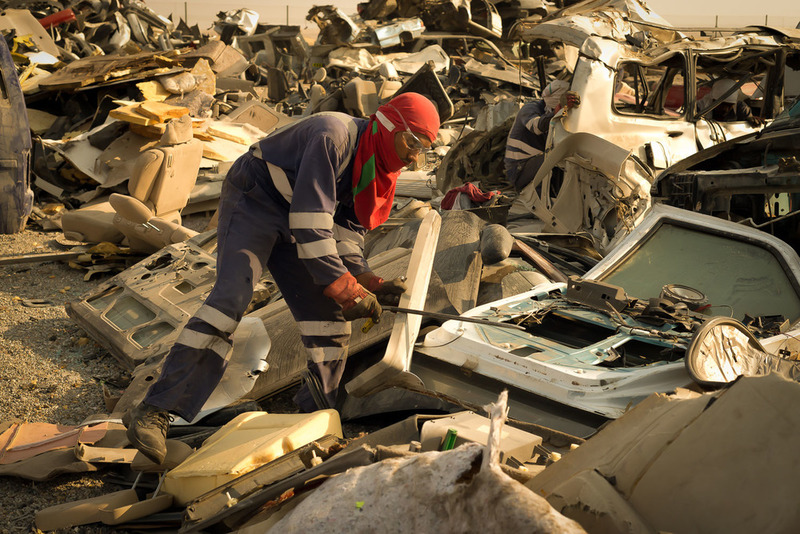 Once any recoverable items have been removed, the vehicle's metal carcasses are lifted into what's called the Red Giant., a powerful machine, it's able to shred 60 tonnes of car bodies to pieces in an hour. 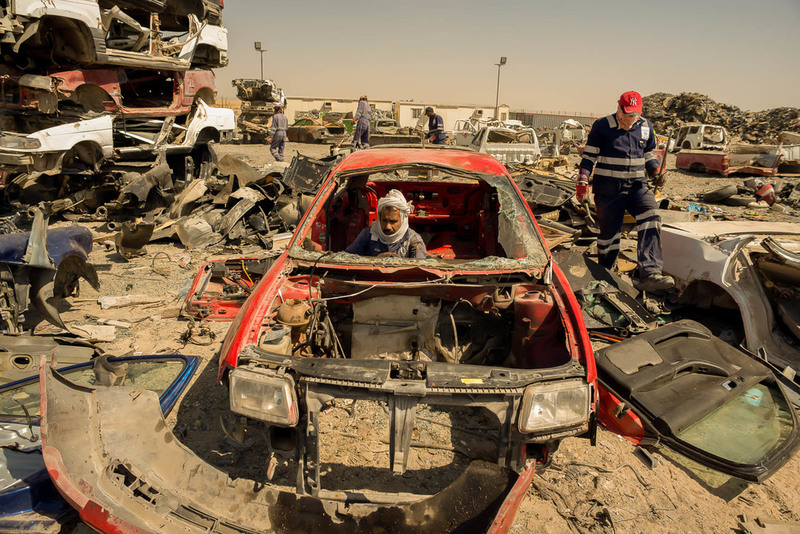 But before the car bodies are shredded anything of value needs to be removed. 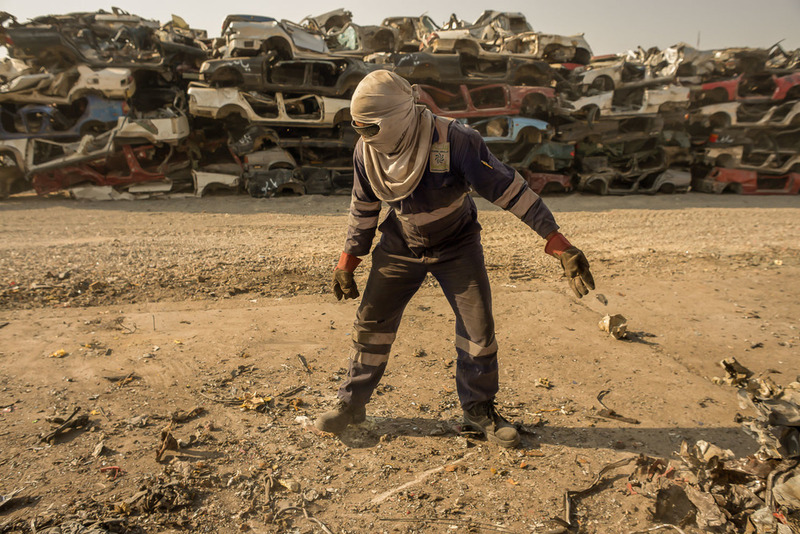 Migrant workers from India, Bangladesh and Pakistan toil in the heat, removing windscreens, rubber, tyres, lights, engines and radiators. I spent some days at the Bee'ha Recycling Centre in 2014 and 2015.